When was the last time your calendar had an entry that earmarked time for ‘Reflection’. 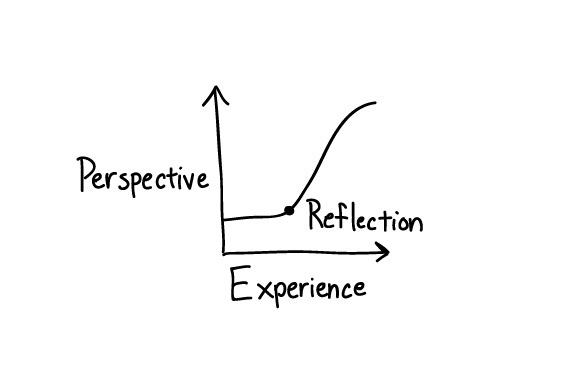 Of course, “Reflection” could take any label and many names, but with the intent of ‘reflecting’, or ‘intensely synthesizing” an experience or a result. My questions on this to a variety of people over the last couple of weeks, have saw a handful of ‘’overwhelming ‘yes’s” and a heap of hemming and hawing! Nobodys fault. We just live in an age where ‘action’ has assimilated all the space that it had and shared with ‘reflection’ and ‘thought’ as the route to success. Having structured experiences has a huge focus on the experience, while as much focus must go into reflecting on these experiences. These hardly happen, except perhaps when this happens to be participants in an ‘outbound’ programme. This piece that Duke Today illustrator Jonathan Lee put together, is awesome on many counts. Amidst all the wonderful illustrations, this illustration below stood tall besides being very pertinent to this post. Don’t we reflect? Of course we do. Thinking about various thoughts, conversations and ideas whilst doing something of routine is more often the case. Nothing wrong with that. While reflecting on the go, may quite well be a natural occurrence to many of us, intentional, focused synthesis of events and experiences lead learning to a different sphere. That is uncommon. Or rather, these are not practices in the mainstream. Reflection itself can be a natural consequence of several aspects. ‘Reflection’ facilitates the process of transforming tacit information and accrued experience into a codified knowledge base, adding several degrees of confidence. Just the possession at the end of the day, of such codified learning boosts self efficacy. This of course, requires cognitive investment. Some of the best leaders who I have worked with over the years have always been those that have been able to hold conversations that helped me intensely reflect on several experiences on the job. In a connected, fast paced world, the ability to be able to hold the space for reflective conversations is at an implicit premium. Journaling, having to ‘present’ the understanding etc help a big deal. Personally, teaching and further sharing of the results of reflection (including Working Out Loud) have helped me greatly. Surprisingly the paper mentioned above didn’t find evidence of increase in learning resulting from further sharing of it. Being able to ask the right questions that facilitate reflection solves three quarters of the problems. That is a skill that can be acquired with constant practice. After asking the questions, to listen intently without interjecting with a point or two is also crucial. Some of my best conversations have been ones that left me thinking about it long after the conversation was over. Gautam and me had this conversation on twitter. Gautam’s point is well taken. It is my view that if it is made important enough, time will get created for it. It cannot remain in the fringes and remain and optional extra but must permeate as an essential means of completing work. It is every manager and leaders interest to give it the space it deserves. Of course, it needs to get into the calendar! Reflection has continued to remain one of those things that we either take for granted or consistently undervalue its necessity. In my view, it has to be woven into work. Developing and exercising the muscle around facilitating reflection takes a person a great distance. Besides, it perhaps offers the simplest and most potent tool in developing people on the job! For several months now, I have been working on picking up some photography skills. But more on that later. A few years ago, I started clicking around with a prosumer camera in the perpetual quest for a new stories, ever since I started blogging. I recall it being tough to use it. But I did all the typical things. Read up-Click-Review-submit-get feedback etc! The learning progressed and the quality of the pictures improved. 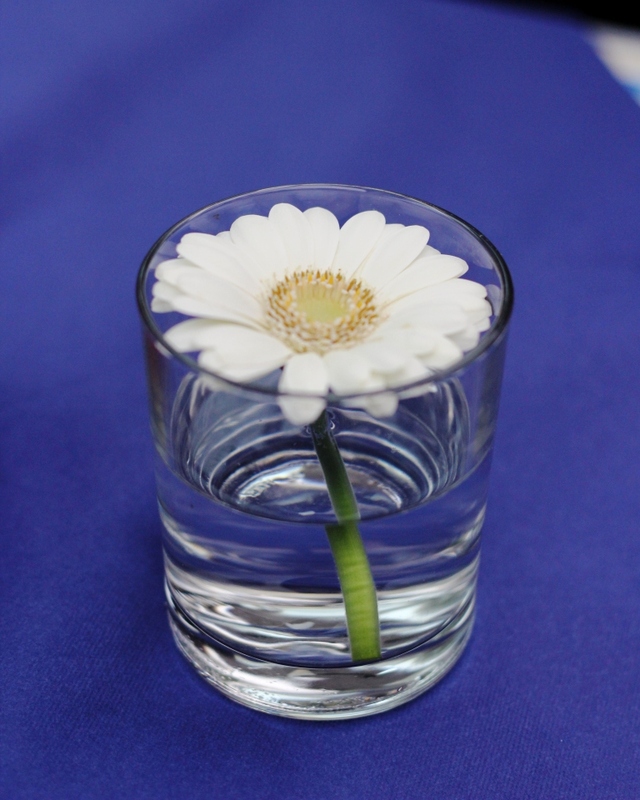 And as the blogging gained traction, there were quite a few appreciative comments about the photography skills as well. After a few years of playing with it and becoming aware of the camera’s and my own limitations further fuelled by a desire to better quality pictures, a few months back, I invested in a professional DSLR camera. Yes, investment is the word. Ever since then, its been a battle of sorts. For all the money the camera sucked in, it comes with a multitude of bells, whistles and hooters. It took me a good two days to figure out the basics and many months to get comfortable with it. Infact I still am on the journey. Every day, was is a new learning. But it was is clumsy. A struggle. Sometimes, the best of family moments reduced to a plain white sheet or a thick cloak of black in the quest of capturing the moment to perfection. But guess what, am getting better. I still have to think about every single angle, button and setting. Still messing up. But the gap between mess-ups have only increased. Which is good news. The four stages of competence holds my transition rather well. Where I reasonably assumed that the virtue of clicking around for a few years with a prosumer camera automatically gave me the skill to click good pictures with the DSLR as well. How wrong I was. Very quickly I became conscious about my what a fool I was making of myself. Especially when the family frowns at a lousy mess up of a snap, usually of a critical family moment and wondering aloud, ‘whatever happened to you?’. Pregnant in that question is the automatic upgrade in expectation because of my upgrade to a far more sophisticated camera! From then on I have been at it. Reading. Reviewing. Clicking. Sharing. More clicking. And seeking feedback. Some feedback is not sophisticated or polite. Yet others are. All of it is valid. But now, by the constant seeking and playing the new tricks that I pick up, I am consciously getting more competent with it than before. At a slower pace than several others, but hey, am enjoying the journey clicking snaps like this! It may not be piping hot but hey, its spewing action! Hopefully there will be a time, when all of this would come easy. When I would be unconsciously competent. When flicking a the buttons based on the time of the day and the mood to capture, would be second nature. But until I get there, there is going to be a process of learning. But the point to this post is this : That the road from now on is going to be clumsy! With a collection of gross errors and gingerly mishaps and lousy pictures as proof. A learning process runs a high potential of snapping or not starting because of the ‘ugliness’ if I were to call it that, of the trying out of the new learning. A workshop could have been energizing and the learners left with a keen desire to try. But the real learning comes in the trying to implement the learning! In the trying, there is a good chance of failure and making a fool of oneself. Learning professionals must increasingly devote time to this phase where learner performance and trial is supported. There could be a multitude of things that could be done. And needs to be urgently. Will Thalheirmer‘s work has been illustrative. Lets face it, learning is inherently challenging at this phase. A phase where well intentioned goals melt. It is this phase that needs L&D folks to shine their torch on. Especially so, if the context for learning isn’t anchored well and transfer of learning isn’t a mandate. Alas in the melee of organizing programs, collecting feedback and presenting budgets, this is missed. While performance support tools are many, the role of the immediate manager and colleagues play a role that is often neglected as part of the learning design. In my experience, even an expression of interest on the learning by the immediate manager, has remarkable results for starters. That brings to bear the question, my pet peeve of sorts: how are immediate managers of learners being involved? See, as far as my photography where this post began, my wife, family and an extended array of friends, play the role of the ‘interested colleague / friend/boss’! Keen on seeing what new pictures have been clicked and often offering their views! That in itself has helped me stay the course. Someday, I wont be consciously reaching out for buttons and manuals. Towards that quest, I am clicking away. Of course all support is deeply appreciated! Imagine you have a four year old daughter. All sprightly, playful and extremely fun to be with. Assume that you have been away on work. Making full use of your absence and in her constant quest for exploration, she touches a hot tea pot. The hot tea pot gets her to pull her hand back in a quick reflex action. Chances that she would go anywhere close to the tea pot reduce dramatically. Some learning has taken place there. You get home from work and ask her, ‘what did you learn today baby?’, chances of her saying ‘I learnt that the tea-pot in the corner of the kitchen is hot and can be very dangerous’ is remote. Remote is a mild word there! In all probability, you will hear a ‘nothing’ or something or about the latest game that she picked up from her best friend or whatever. And getting on to the next game. This scene is something that keeps repeating all over our lives. We are all learning. All the time. Or rather, continuously making meaning of things that happen to us or around us. Constructivism holds meaning making right at the centre. But that’s as far we’ll go into that aspect. In an organisational setup, the meaning making can take a collective hue as well. Most often, leaders abdicate a responsibility to help team members REALISE their meaning making and helping assimilate / moderate / augment the ‘learning’ that occurs all the time. One key skill that is seeing more and more remote practice of, is the ability to hold reflective conversations with team members. In a high tech, connected world where email and the keyboard become THE interface, having good old conversations is becoming a rarer ‘event’! Yet, it is a such a vital tool in a leader’s arsenal. If it is so vital, why isn’t it practiced as much as it should be? For one, it is difficult. It is seemingly easy, but it is difficult. There cant be anything more easy than sitting down and having a good chat, it would seem. For one, it goes beyond ‘small talk’ and exchanging sounds about the weather or seeking basic information about each other! A good quality conversation which can enthuse team members has a few aspects to it. It means, listening exceeds the speaking not with an intent to convince, but with a desire to bring complete ‘PRESENCE’ to the conversation. And listening happens both with the eyes and ears! A good conversation means indulging in the lost art of curiosity and staying with asking questions to help the team member discover answers for himself or herself. It means patience. And it also means, living with the possibility that it perhaps will not head the way it was desired in the leader’s mind! Candour and sharing help establish trust from both sides and are great catalysts! And no, a good quality conversation cannot be had over mail. Yes, ‘conversations’ sounds simple. And ‘simple’ is not always, ‘easy’! Or effective. Some of the best leaders I have worked with have been great at conversations. Not necessarily, the funny-slap-on-your-back-laughter kind of conversations over a few drinks. But ones where they were fully present. Not for a moment looking into their mobile phones or into their watches. They listened intently, with curiosity ruling the day. And always, always, asking searching questions the answers of which I was in search of, sometimes, long after the conversation was over. Many a time, these chats didn’t give me straight answers or ‘to-do’ lists but helped me formulate a thought and create my own ‘to-do’ list! Even as the ultra fast world gets comfortable with clicking on the ‘like’ button, putting down a two line comment and drafting mails as a means for communication, they are just a patch on the power of a simple conversation! It is a vital skill in a connected world to connect deeply! Often, when speaking to sets of participants attending learning programs, I find myself share a ‘classification of learners’. I wish I could remember where I had read it, for me to cite reference here. The classification in itself is a rather telling and usually elicits some shifting of feet, muted laughter, smirks, smiles and sometimes, guffaws! Broadly, this is what I say. a. Prisoners : Participants who have been ‘sentenced’ to a few days of training. Who would much rather be doing m(any) other things, but who are there in the room, because they have been forced to ‘attend’ the program. Left to themselves they’d much rather be doing other things. b. Vacationers: Self explanatory, isn’t it?!? A training program seen as an opportunity to stay away from work, get paid for it and yet enjoy the best of venues / food and generally catching up with long lost friends and colleagues. A meta coffee machine of sorts, to catch up on all whats happening in the organisation. c. Experts : Participants who consider themselves as ‘experts’. With ‘expert opinion’ at the expense of leaning something new. Sometimes that may be well founded. Many times not so! Perhaps its their background, the colleges that that they have gone to, the experiences that they have accumulated, the seniority in the organisation. Past learning inhibits future learning ! d. Explorers : Explorers are those that are possessed with a sense of curiosity and discovery. People who know a few things, but are always seeking for learning something new. Building on what they know, treating it as an adventure, taking risks, assimilating experiences of all in their line of sight and daring to go where they havent gone before. For those reasons, explorers are all great learners. Learners are also ‘explorers’ in their contexts ! This classification applies to all of life too. For learning is a life long event. Nay, journey! True learners are those that are filled with curiosity. Those that approach every moment with a sense of possibility and with a spirit of exploration. For that is the spirit of life. One look at our children teach us that. Filled with questions, playfulness and armed with a surfeit of curiosity. Somewhere along the way, as we grow up, we become ‘experts’ or vacationers of life. And sometimes prisoners too. Perhaps its time to unleash to the child in us. To be real explorers to get to be good learners. “Learning is a journey” is a much abused and clichéd phrase. One could go through that journey as any one of the above and yet up going to a completely new land or not traversing any distance at all. The key to the ‘Journey’ must be realisation that journeys always involve change. A change of scene. A change in speed. Many times, new eyes too. And change is inherently uncomfortable. Getting comfortable with the uncomfortable is so key to learning. So key to life. ‘Hype Cycle’s are an interesting read. The phases that a hype cycle mentions are particularly revealing. ‘Hype Cycle’ was a term coined by Gartner. It offers a cycle of maturity of adoption of a particular technology. Its akin to the ‘Product Life Cycle’ concept : introduction, growth, maturity and decline. Its similarities end with the “broad concept”. The ‘hype cycle’ is rather an incisive description of a tech / concept’s evolution. Plotted against the axes of time & visibility, the cycle offers five different stages. a. Technology Trigger: Which is the first phase of the hype cycle. There is a trigger that sets the hype on its journey. A breakthrough concept, product launch or approach automatically generates interest. b. Peak of Inflated Expectations: The phrase sums it up. The triggers have triggered off expectations which are well beyond real. ‘Inflated expectations’. Technologies in this stage are actually riding a wave. So to speak. And literally so. And you know what happens to any ‘wave’ ! When the energy dissipates, it leads to the next stage, which is ..
c. Trough of disillusionment: When expectations aren’t met, well, it leads to disillusionment. At the least, there is disappointment. Disappointment leads to non-use which in turn leads to abandoning and consequent fade out from the screen. There of course are some adopters who still are working on it and they lead us to the next stage. d. Slope of enlightenment: The technology might have fallen out of favour of the mainstream, but there sure are businesses who have adopted it to meet objectives. And when they see value, they keep working on it, to utilise the practical applications of the technology. e. Plateau of productivity: And when enlightenment happens, it sure is a way of evolving further on ! The technology becomes more widely accepted. Better demonstrated. More stable. And the final height would be a function of how broadly applicable the technology is. Hype Cycles give an idea of relative maturity of technologies and concepts. 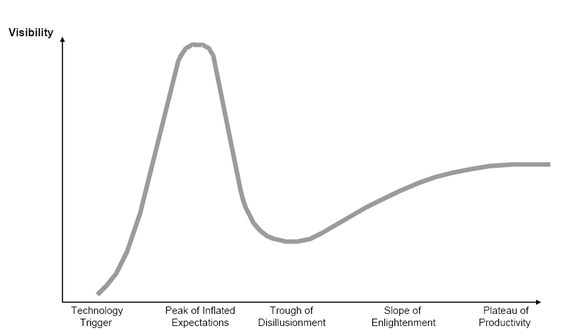 Looking at the hype cycle, you find that authoring suites are at the ‘peak of inflated expectations’, you know whats coming your way! And therefore plan your strategy accordingly. There is usually a trigger. Best if the trigger happens to be line managers / business / leadership team. That works all the time. Even better, when the trigger is accompanied by a trigger within individuals. Usually, basic information, education, research, which provide for a basis for an evaluation of alternatives works here. The solution worked out as a response usually sets expectations of meeting the business needs. Especially so, when the solutions are co-evolved with line leadership. It is quite normal and natural for expectations to be ‘inflated’. In both the second and third stage, ‘managing expectations’ become crucial. To set the right expectations can stave off disappointment and to remind people of the agreed goals and committed support is key. When the rubber meets the road, there are practical challenges that emerge. Sometimes old habits just refuse to die. Memory could be strong about erstwhile processes. Also, new skill may take a while to get deep rooted. Which is when disillusionment kicks in. Disappointments rule! With a lack of practice, forgetting kicks in! If the ‘trough of disillusionment’ is managed well, the slope of enlightenment can begin to appear. Sharing success that happen in small pockets, intense communication, keeping a community spirit going, executive coaching, all go a long way in helping the ‘slope of enlightenment’ happen. When that slope is climbed by many, when ‘pockets of success’ become more prevalent, there is a level of change and operationalising that is higher than where it all started out from. Each stage is different and needs to be managed differently. It gave me wonderful compartmentalised ideas for several projects that I was working on. There are many skills that are imbibed during formative years and years of study. The one skill that perhaps will stand in great stead is that of asking good questions! For it is in the asking of questions that answers emerge. For many years I thought of questions and questioning to be a prerogative of teachers. Which changed one day, when upon asking a few questions in a chemistry class, my teacher asked me to think up of five more questions! I was reminded of that incident reading ‘Teaching Students to Ask their own Questions’ in the Harvard Education Letter. The process of teaching undergoes a fundamental change when students are entrusted with the idea of seeking out questions that would enable them to search for answers. Automatically, the responsibility for ‘learning’ shifts to the ‘learner’ and away from the ‘instructor’. The beauty of questions is the space it creates for ‘exploration’. And exploration is a function of wonder! Developing an acumen for asking the right question, is furthering the prowess of exploration and often leading to a choice set for action. The link quoted above introduces you to a step by step process called, the ‘Question Formulation Technique’ or QFT. This technique is supposed to help students learn how to produce, improve upon and strategise on how to use the questions they come up with. Step 4: Students Prioritize Their Questions. Step 5: Students and Teachers Decide on Next Steps. Step 6: Students Reflect on What They Have Learned. To see this as an easy set of steps to pursue, will be oversimplifying the approach. For the fundamental nature of relying on ‘questions’ requires a shift in the way a learner approaches a subject. It requires an bigger shift in the way a teacher or a trainer would approach the student as well. The role of the trainer / teacher, as a facilitator who holds the space for questions to flourish and discussions to take place requires a certain ‘courage’. A willingness to hold the urge to ‘give the answer’ or to prove expertise, and engage with perpetuating a ceaseless exploration! Yet, being very present, encouraging and participatory! And to stimulate wonder! Its simple ! Asking questions help children stay in control. When they are in control, their interest grows and obviously it has a big positive impact on their learning. Of all the facilitators and trainers who I have worked with, the ones that I have relished working with are ones that left me with more questions than answers at the end of the program ! So is the case with my managers and business leaders. The case for leaders being teachers was made in this post. An essential (and much under rated) skill in the repertoire of skills, leaders that I have held in high esteem have possessed is the art of asking thought provoking questions, that enable teams to figure out answers! More often than not, in the quest for giving the right answers we miss the point that the trick is not in the ‘right’ answers. But rather in realising that questions elicit the answers ! I was on a walk with my four year old nephew last week. As any other four year old would be, he was brimming with questions. An inquisitive mind and an extremely curious thought process meant a battery of questions fired with a tenacity of a quiz master on a rapid fire round. We explored different objects of his interest and held them up under the light of his ‘living’ or ‘non living thing’. He was getting almost all of it right on his own. And the rest on some basic prompting. Out of curiosity on what his mind map was around this, I asked him how he came to conclusions. Teasing him with statements like ‘oh, but chocolates are wonderful. Why are they non-living’. His prompt and clear response : ‘Chocolates are wonderful. But they don’t breathe. They don’t grow’. Which brought a smile on my face. For with a simple answer to define life, he had brought to life, its defining essential : Growth ! Technically, he could have been speaking of physical growth and changes. My mind leapt to the other growth that has potential to happen till a human being is lowered into a grave. Growth that is deeper, taller, wider than that which is merely physical. 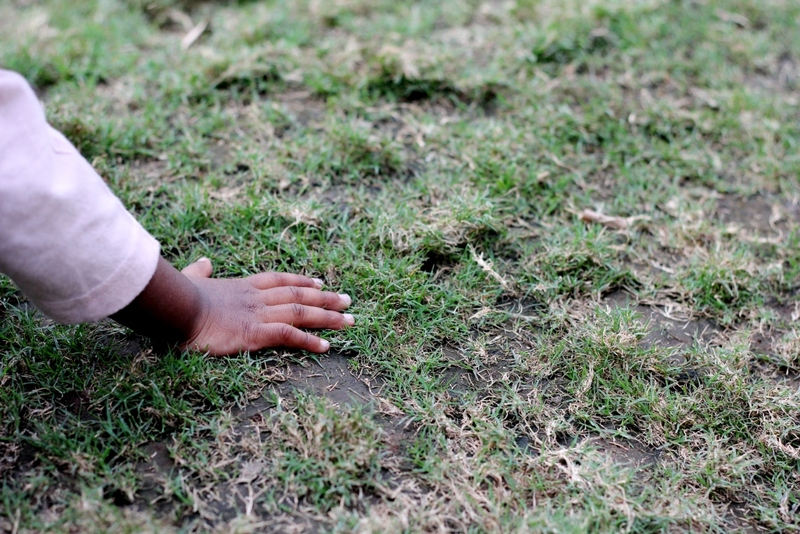 Development is an integral part of ‘possibilities’ for the future. Development is anchored around ‘change’. Change in knowledge, skills, attitude, behaviour ! Change when sustained, brings about development. Development that lurks and becomes part of a being, brings about growth ! Growth is the great sustenance for life in itself. That airy morning, with a four year old clutching an outstretched hand, this lesson seeped in !